Thinking of backyard upgrades? 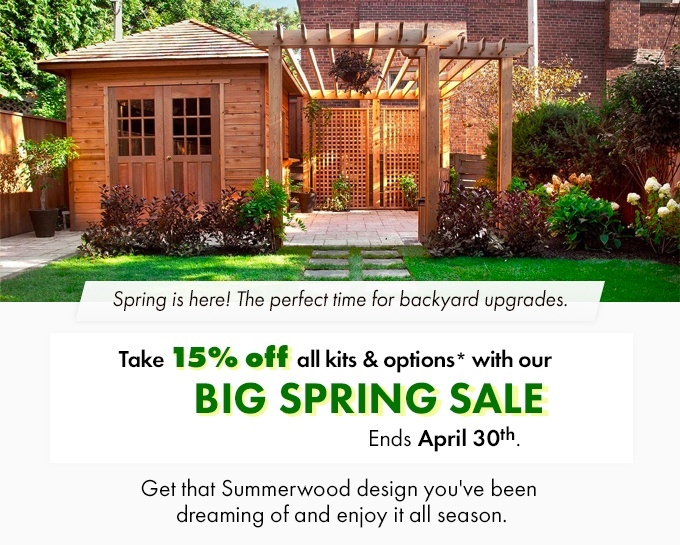 With Summerwood's Big Spring Sale, now is a perfect time to get the building you've been dreaming of! Order today so you can enjoy it all season.